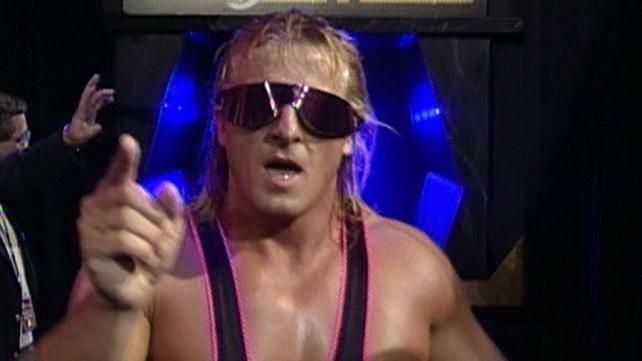 Before turning heel in early 1994, Owen Hart was known as the Rocket. Which is exactly what the WWE attached to him that year. By the time King of the Ring rolled around in June 1994, Owen had already capitalized on the first big push of his WWE career. He was involved in a high-profile feud with big brother Bret, and defeated the Hitman with a clean pin at Wrestlemania X in March. He was one of the top villains in the company, and KOTR ’94 solidified him as the star he would remain until his tragic death nearly five years later. Having qualified for the KOTR tournament by defeating Doink the Clown on a TV match, Owen proceeded to reel off wins against Tatanka (quarter-finals), 1-2-3 Kid (semis), and Razor Ramon (final) to become KOTR like his brother had 12 months prior. While Bret’s KOTR triumph included at least one fantastic match (vs. Mr. Perfect) and nearly 50 minutes of wrestling through three matches, Owen’s three matches totaled less than 20 minutes and will be remembered as much for the interference by borther-in-law Jim Neidhart than anything else. Instead, Owen’s defining moment came in the coronation ceremony after defeating Razor. In a dig at Bret, he proclaimed himself “The King of Harts.” A new identity, one that was utilized to maximum heel effect, was born. At SummerSlam 94 Owen got his first WWE title shot, losing to Bret in a steel cage, a classic 30-plus minute battle that stole the show (and made up for the debacle of a main event that was Undertaker vs. Undertaker). He remained near the top of the card in 1995, teaming with Yokozuna to win the WWE tag-team championships twice. The next year he partnered with brother-in-law Davey Boy Smith to capture the tag-titles. Together with Vader, Owen and Davey formed Camp Cornette, a stable managed by Jim Cornette that was the top heel group for much of 1996. In 1997, Owen was again part of the WWE’s top heel stable, the Hart Foundation, featuring Davey, Bret, Neidhart, and Brian Pillman. Owen had one European championship reign and two Intercontinental title reigns, feuding over the latter with a rapidly rising megastar named Stone Cold Steve Austin. Even after the Hart Foundation dissolved with the rest of the members bolting for WCW in the wake of the Survivor Series 97 screwjob, Owen remained in the WWE. In 1998, he was remarkably part of the WWE’s top heel stable for a third straight summer. This time it was The Nation, in which he joined The Rock, Mark Henry, D’Lo Brown and Kama in a classic feud with DX. He had one last tag-title run as one half of a heel duo with Jeff Jarrett before his terrible death at the 1999 Over The Edge PPV. That is another story for another day, but I”ll just say it was tragic, preventable, and should never be forgotten. Just like Owen. There was not a more consistent upper-card heel in the WWE, maybe all of wrestling, for the second half of the 90s than Owen, who so many of his peers have said to be one of the nicest guys in the world once the cameras stopped rolling. His star really took off with the birth of “The King of Harts” at KOTR 1994, making the WWE 2/2 with its winners from the first two KOTR PPVs. But they were just getting started. Next up, we’ll take a look at a rare KOTR misstep in 1995 before the event that literally changed professional wrestling in 1996.